BEST SELLER. 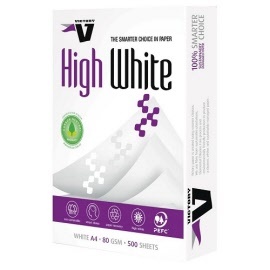 Victory High White is the trusted name for value and performance. 100% plantation. 100% Elemental Chlorine Free and certified as a long life paper. Suitable for laser printers, inkjet printers, photocopiers and plain paper fax machines. A4 size - 297 x 210 mm - Sold in boxes of 5 reams only. Double A paper Double quality paper. 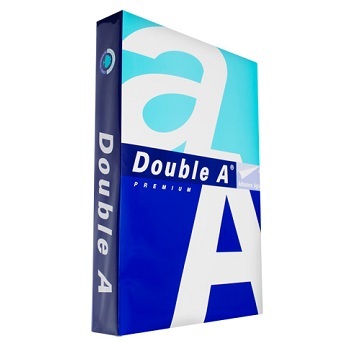 Double A's high quality paper is designed for superior performance. Made from specially farmed Eucalyptus trees for environmental sustainability. 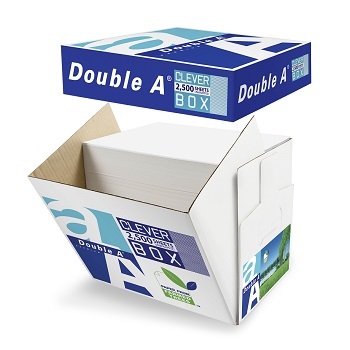 With no ream wrappers, the 2500 sheet Clever Box design makes loading quick and easy. 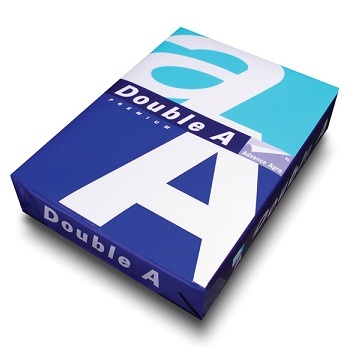 A4 size - 297 x 210 mm - 2,500 sheets unwrapped. 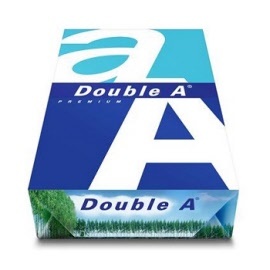 Double A paper Double quality paper in Double the size. A3 size - 420 x 297 mm - Sold in boxes of 3 reams only. A5 size - 210 x 148 mm - Sold as individual reams. 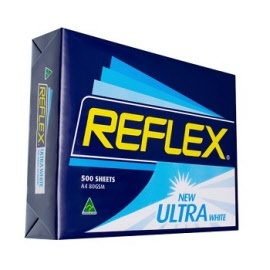 Made in Australia with advanced technology for superior reliability. Suitable for all types of photocopiers, laser printers, inkjet printers and plain paper fax machines.